On February 5 and 6, the team of the Presidential Basketball Club 'Astana' is holding an away series of matches within the men's National League in the west, with the Atyrau main team 'Barsy'. The first game resulted in +19 in favor of «Astana» — 76:95 (27: 25.16: 24.19: 20.14: 26). It is worth noting that the first half ended in favor of the hosts +6. 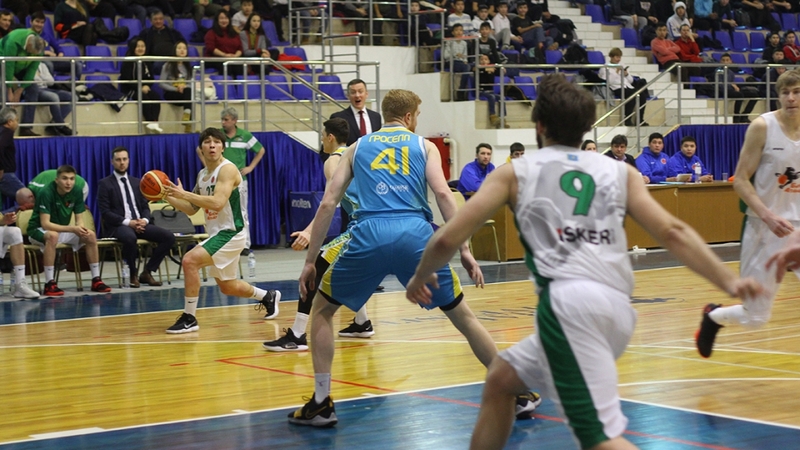 Atyrau players continued to impose a struggle in the third quarter, but in the final 'Astana' turned on fourth speed and put pressure on the rivals, dominating in each part of the court. Anthony Clemmons — 24 points, 3 rebounds, 2 assists, 1 steal, and efficiency — 27. Alexander Zhigulin — 22 points, 8 rebounds, 1 assist, 3 steals, and efficiency — 29. Jeffrey Grosssell — 21 points, 4 rebounds, 1 steal, and efficiency — 18. Rustam Yergali — 13 points, 5 rebounds, 2 assists, 4 steals, and efficiency -17. The next match will be held today on February 6, at the court of AGU named after H. Dosmukhamedov. The game starts at 20:00 Astana time. We kindly remind you that on Tuesday, February 12, a home match between 'Astana' and the Polish club 'Zielona Gora' will take place at the Saryarka Cycle Track, as part of the regular VTB United League Championship. The match starts at 7:30 pm, Astana time. Online tickets are available on Ticketon.kz.